VICE, Screen Australia, and the Australian International Documentary Conference have called for entries for announced the second Pitch Australiana pitching competition,. The prize is a $50,000 commission for a short form documentary to be released on VICE.com. Katy Roberts, Head of Video at VICE Australia, said: “We’re thrilled to be able to return for another year with Pitch Australiana. The series is intended to be an ongoing, diverse portrait of modern Australia, so expanding the filmmakers and storytellers we are able to work with is essential to that mission. We’re very thankful to Screen Australia and AIDC for their ongoing support. The Pitch Australiana competition is open to early career Australian filmmakers that have at least one documentary production credit to their name. Filmmakers will be pitching for the chance to secure funding for a production to be released through VICE’s lauded tent-pole digital documentary series, Australiana. The short form documentary will be released through VICE’s global digital network, and will join previous Australiana films also broadcast on local TV channel SBS VICELAND. Four pitches will be selected to compete for the prize in a public pitching forum, given to a panel of VICE and wider documentary community representatives on Monday 4 March during AIDC 2019 in Melbourne. Entrance to watch the pitch will be free for student card holders. Australiana is a series committed to presenting stories from the perspectives of Australian communities, individuals and subcultures that are overlooked or ignored. At its heart, it’s a way to offer a voice to those on the fringe. Shooting Cats was the winner of the pitching competition at AIDC 2018, with the project due for release in November. Directed by Inday Ford and produced by Dylan Blowen, Shooting Cats is an observational documentary that explores the catastrophic impact feral cats have on Australian wildlife and the complexities environmentalists face in their attempt to find solutions to this epidemic. 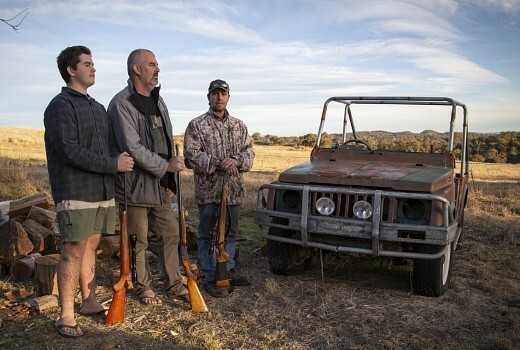 Previous Australiana episodes also feature teenage burnout stars in regional Victoria, the Indigenous queer experience in the Tiwi Islands, Australia’s medicinal marijuana black market, and a search for love in the outback. Call for pitch submissions is now open. The deadline for applications is 10 December, 2018. ACMI on Tuesday 13 November to be streamed live across the country.